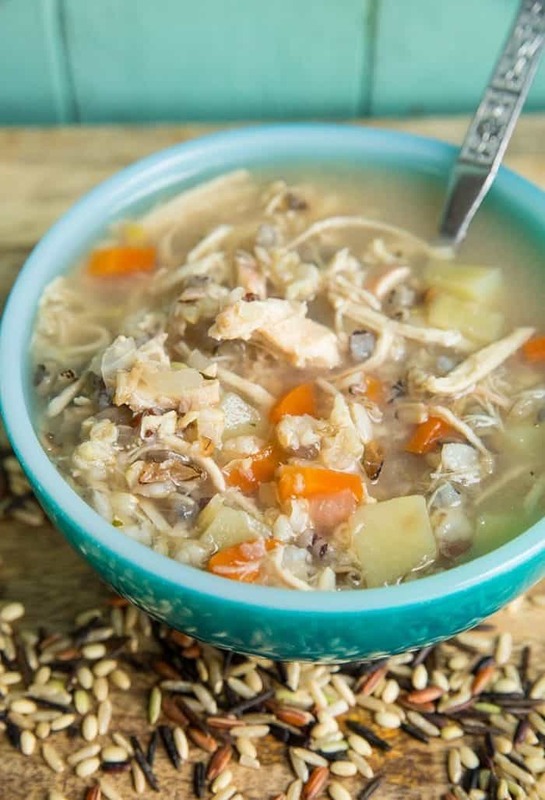 My new Slow Cooker Chicken & Wild Rice Soup has no cream, milk, no dairy at all! My new Slow Cooker Chicken & Wild Rice Soup was a nice change of pace from the usual cream of chicken and wild rice soup. Sometimes, believe it or not, you don’t want a heavy cream based soup. This is definitely a lighter version that has no dairy whatsoever, not even butter to fry up the vegetables. You simply toss it all together in the crock pot and away you go! 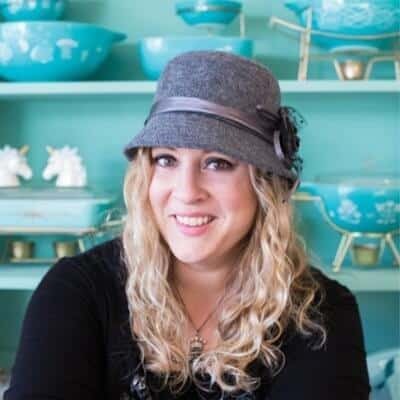 You can also make this in the Instant Pot of course, since I try to include instructions for both the slow cooker and the instant pot in my soups and stews now. A nice little trick here is to throw in a russet potato or two that adds thickness to the soup without having to add cream. Russet potatoes will break down slightly and add starch to the soup, which makes them the potato of choice for soups. Red potatoes won’t break down, so if you prefer a clearer broth, then go with red potatoes instead. It’s definitely another soup that we will use for leftover chicken AND turkey this winter! 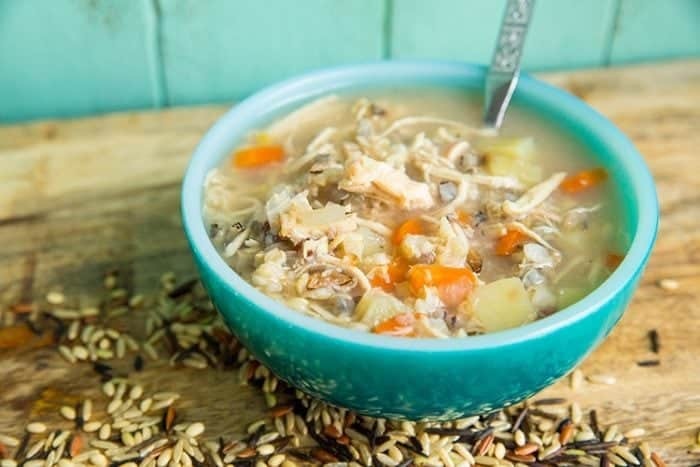 Slow cooker chicken & wild rice soup can also be turkey and wild rice soup with absolutely no changes other than adding cooked turkey! It seems that the only thing I ever use wild rice for is soups. I have a hard time using it in other dishes as let’s face it, wild rice is a finicky bugger to cook sometimes. It can take twice as long to cook or ends up crunchy somehow. I never have a problem with wild rice cooking properly in soup! So that means of course, that I throw wild rice in soups all the time. 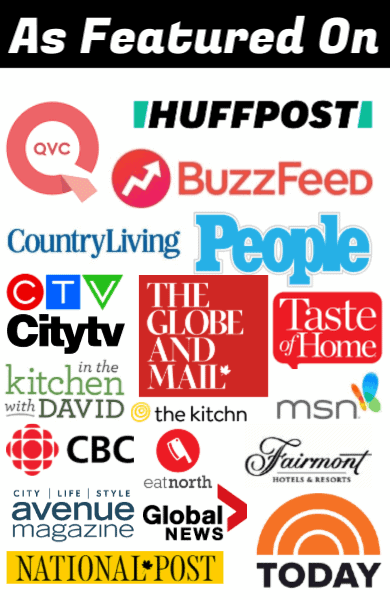 Pin this recipe to your SLOW COOKER or SOUPS BOARD and remember to FOLLOW ME ON PINTEREST! 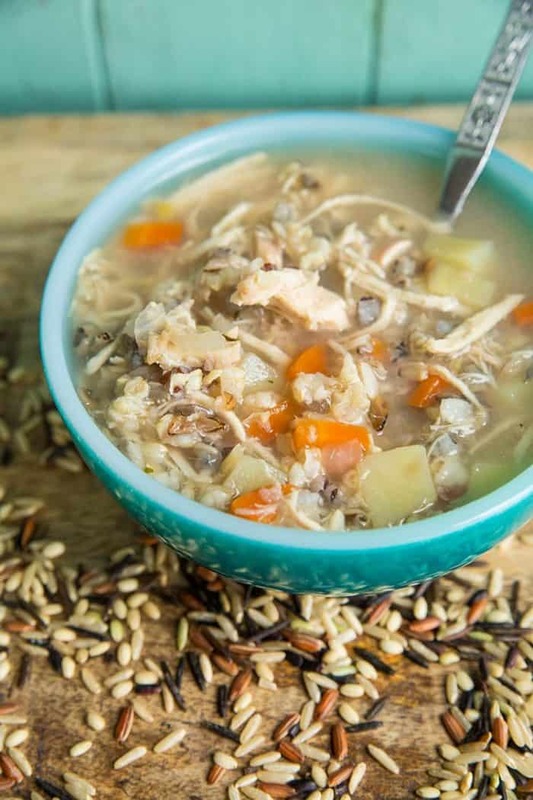 This Instant Pot/ Slow Cooker Chicken & Wild Rice Soup recipe has no dairy at all in it, which is a nice change of pace for when you need a lighter meal! Stir in the remaining ingredients. Cover and cook on low heat for 6-8 hours. When ready, remove the chicken breasts onto a plate and shred them. Mix back into the soup. To slow cook, use the directions above and the slow cook setting. For pressure cooking, combine all of the ingredients above in the instant pot. Press the Soup button and cook for 45 minutes. ( should be the default time that appears when you push the soup button. I have made this 3 weeks in a row! I follow a non dairy meal plan so was so excited to find your recipe…I follow everything exactly as written with just 1 russet potato – gets plenty thick. This is my favorite lunch by far! Thank you! Hi! This recipe looks great, can’t wait to make it! However, the calories per serving seems off – is that the calorie count for the full recipe instead of a serving? Hi. How does the pressure button/release work on this recipe? I’m new to I start pots. Thanks! To make in pressure cooker, do you put in uncooked or cooked chicken ? Uncooked or the chicken will be gummy textured. I just made this today. Can’t wait to get home from work and try it!!! Thank you for the non dairy recipe! And the hint about the russet potato. No problem! Hope that you love it!